Lars Peter Hansen is a leading expert in economic dynamics who works at the forefront of economic thinking and modeling, drawing approaches from macroeconomics, finance, and statistics. He is a recipient of the 2013 Sveriges Riksbank Prize in Economic Sciences in Memory of Alfred Nobel. Hansen has made fundamental advances in our understanding of how economic agents cope with changing and risky environments. He has contributed to the development of statistical methods designed to explore the interconnections between macroeconomic indicators and assets in financial markets. These methods are widely used in empirical research in financial economics today. The Nobel Prize recognizes this work, which has been used to test theories and models that have shaped our modern understanding of asset pricing. His recent research explores how to quantify intertemporal risk-return tradeoffs and ways to model economic behavior when consumers and investors struggle with uncertainty about the future. Improving models that measure risk and uncertainty have important implications for financial markets, fiscal policy, and the macroeconomy. His early research in econometrics was aimed at developing time series statistical methods to investigate one part of an economic model without having to fully specify and estimate all of the model ingredients. The applications he explored with several coauthors, such as Kenneth J. Singleton, Scott F. Richard, Robert Hodrick, and Ravi Jagannathan, included systems that are rich enough to support models of asset valuation and to identify and clarify empirical puzzles, where real-world financial and economic data were at odds with prevailing academic models. Hansen’s recent work focuses on uncertainty and its relationship to long run risks in the macroeconomy. He explores how models that incorporate ambiguities, beliefs, and skepticism of consumers and investors can explain economic and financial data and reveal the long-term consequences of policy options. Hansen, Thomas J. Sargent, and their coauthors have recently developed methods for modeling economic decision-making in environments in which uncertainty is hard to quantify. They explore the consequences for models with financial markets and characterize environments in which the beliefs of economic actors are fragile. 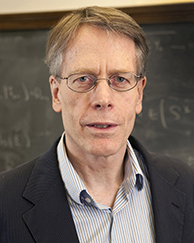 Hansen joined the faculty of the University of Chicago’s Department of Economics in 1981 and has served as department chairman and director the graduate studies. He was the inaugural Director of the Milton Friedman Institute and subsequently of the Becker-Friedman Institute. He is now the David Rockefeller Distinguished Service Professor of Economics, Statistics, the College and the Booth School of Business. Hansen also serves as co-principal investigator, along with Andrew Lo of MIT, on the Macro Financial Modeling Initiative (MFM). This research group works to develop macroeconomic models with enhanced linkages to financial markets, with the aim of providing better policy tools for monitoring so-called systemic risks to the economy. He has delivered numerous lectures around the world. In 2016, he presented the CORE Nobel Talk at the Université catholique de Louvain, and in 2015 he presented the LAUNCH Distinguished Lecture at the University of Illinois and the W.P. Carey Lecture at Colorado College. He was the 2014 lecturer at the IGIER Seminar Series at Università Bocconi and lectured at the 1st Macro Finance Workshop of the Macro Finance Society at Ohio State University. Hansen gave the Princeton Lectures in Finance at the Bendheim Center for Finance in December 2010, the Tjalling C. Koopmans Memorial Lectures at Yale in September 2008, and the Third Toulouse Lectures in Economics at the Université de Toulouse in May 2005. Hansen holds a bachelor’s degree in mathematics and political science from Utah State University and a doctorate in economics from the University of Minnesota. Hansen has also received numerous honorary degrees, including an honorary doctorate from Utah State University in 2012.